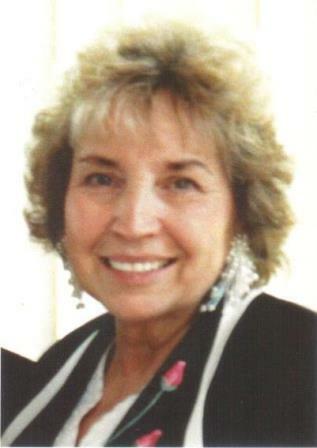 Evelyn L. Rhodes, 82 of Tatnic Road, passed away peacefully March 14, 2019 at the Wentworth-Douglas Hospital with her family by her side after a period of failing health. She was born in South Berwick on June 22, 1936, one of 9 children born to Albion and Mildred (Moulton) Boston. Evelyn attended South Berwick schools before marrying Donald Rhodes in 1953. In her younger years, Evelyn worked for Mainline Shoe in North Berwick and South Berwick Shoe. She later worked with her sister Fay at the Ogunquit River Plantation. Twenty five years of her life was dedicated to caring for her daughter Kathy, who at the age of 9 was diagnosed with a debilitating illness that kept her confined to a wheelchair. She was completely devoted to Kathy and her two other children, Donald and Kelley. Evelyn is remembered for being small but mighty. Evelyn was the hub of the family; a very sweet little lady. She was kind-hearted and would help anyone in need. Evelyn enjoyed her time at the beach, babysitting her grand-dogs, going to the theater at both Ogunquit Playhouse and Hackmatack and especially planting in her gardens; vegetables and flowers. She recently shared a memorable cross-country roadtrip to San Diego, CA with her daughter and 4 dogs. Her sweetest little companion was Shamu. Evelyn was pre-deceased by her daughter Kathy Rhodes, husband Donald Rhodes, 4 sisters, Virginia Vachon, Florence Hashem, Sylvia Mailhoit, Minnie Graton and her brother Gordon Boston. Surviving are her son, Donald Rhodes, Jr. and his wife Deborah of Manchester, NH; her daughter Kelley Kidder and her husband Martin of Berwick, ME; brother Merrill (Mack) Boston of Dover, NH, 2 sisters, Fay Jepson of Wells and Edithe Jepson of North Berwick, many nieces, nephews and her grand-dogs.